EM 6794 (IG I3 4B) Sacred law concerning temple-worship on the Acropolis (including the so called Hekatompedon temple). 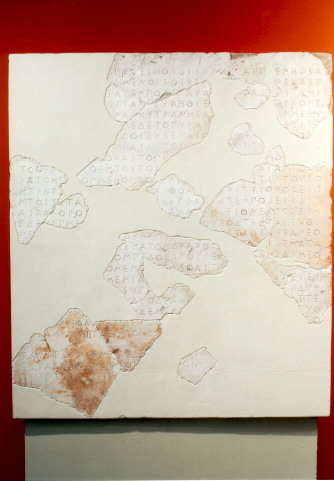 The inscription is the finest example of stoichedon writing (letters arranged in ranks) of the Archaic period, (485/4 B.C.). Height 1,175, width 1,02, thickness 0,125 m.